The Shin Bet questioned teens from the Jewish town of Bat Ayin after an Arab family was wounded in a firebomb attack. 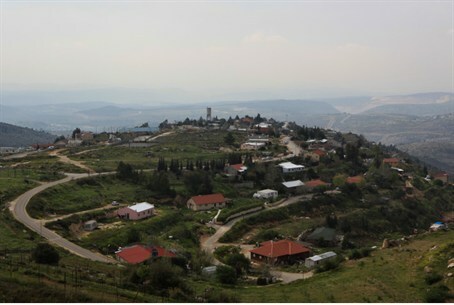 The Shin Bet questioned several teenagers from the Jewish town of Bat Ayin early on Friday morning, the Honenu legal organization reports. The teens were interrogated following a firebomb attack in which six Arabs were hurt. The firebomb attack has been linked to Jewish nationalist groups in the media. However, local Israeli leaders said the stretch of road where the attack occurred has been the site of many Arab terrorist attacks in the past, and that it is too early to rule out the possibility that an Arab terrorist group unintentionally targeted an Arab car. Border Police first interrupted a party held by 12th grade students at the Kiryat Arba yeshiva high school, Honenu reported. Officers looked for familiar faces, then left. Minutes later, a second group of officers came and asked one of the youths to follow them. The young man was taken to a man in civilian clothing who identified himself as a Shin Bet officer. He was told that if he did not agree to talk, he would be arrested. After speaking to Honenu, the teen agreed to speak to the officer. Later that night, at 3 a.m., Border Police and Shin Bet officers entered Bat Ayin, south of Jerusalem, and started knocking on doors to check that two youths under house arrest were home. The youths were questioned but not arrested. Israeli residents of the region expressed frustration. “Firebombings and rock attacks are part of daily life for Jewish residents of the area, and we have yet to hear of this kind of fast response and efficiency from the security forces in dealing with those incidents,” they said.